Who wrote the Old Testament? When did they write their book(s)? What is the oldest manscript inspired and recorded in the Bible? The Old Testament, as originally inspired, was divided into three major divisions. The first division was the Law, the second was the Prophets, and the third was the Writings (which included the Psalms and Proverbs). It was written from approximately the 1660s B.C. to the 400s B.C. The original canonized version of the Old Testament contained twenty-two books, one for each letter of the Hebrew alphabet. When the first five books of the Old Testament are carefully examined, they demonstrate that what was written by Moses were the actual words of the Lord God. Moses wrote nothing on his own initiative. Who are the major prophets? Prior to his death Moses wrote the book of Deuteronomy. This finalized the Pentateuch or first five books of the Old Testament listed in most Bibles. Moses then gave the original scrolls of the Law, also called autographs, to the priests to be placed in special sleeves attached to the side of the Ark of the Covenant. Later, God used priests such as Samuel, Jeremiah and Ezekiel, descendants of Aaron, to pen other books of the Old Testament. What they had created was 'laid up before the Lord.' When Samuel proclaimed the amended covenant for the children of Israel, after God granted their request for a king, he 'wrote it in a book (scroll) and laid it up before the Lord.' (1Samuel 10:25). For example, after David authored his first psalm, he gave it to Asaph the priest who was in charge of the Ark of the Covenant. Ultimately, all the writings collected over the years were officially made a permanent part of the Word of God by Ezra the priest. 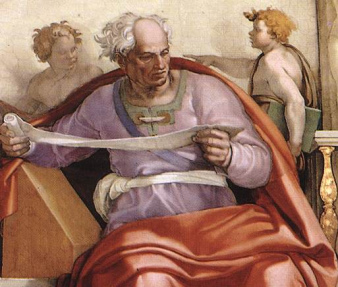 Ezra, assisted by the priests and Levites of the Great Assembly, completed the final editing and canonization of the Old Testament Scriptures in the late fifth century B.C. The below list is in chronological order. It lists the date or date range (B.C.) when a particular section of the Bible was written, the book(s) that were authored and who penned them. Who are the Minor Prophets? Timeline of Man's Last Days!